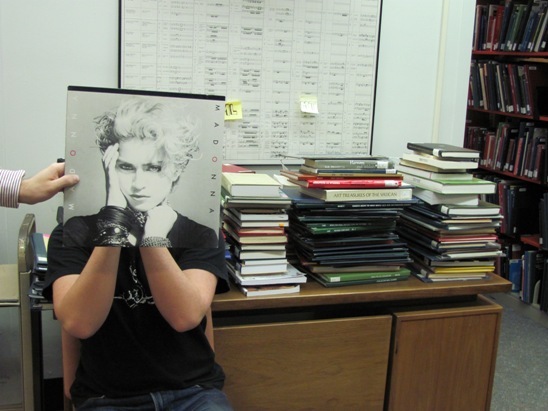 Madonna isn’t doing a good job of hiding her dread for all of the end-of-semester shelving that needs to be done. Sorry Madge, this is only the beginning! In this photo: Madonna, Chris Lortie and Michael Lee. Photo by Liz Tousey. This entry was posted in Pop and tagged Madonna. Bookmark the permalink.